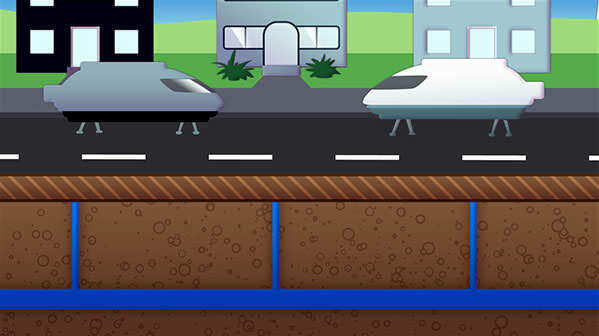 Plastic Pipes VS Iron Pipes - Explainer Animation for TEPPFA | Mair Perkins Ltd.
Radius Systems are a Derbyshire based pipe manufacturing company. They are part of TEPPFA which is a Trade association representing manufacturers and national associations of plastic pipe systems in Europe. Radius Systems contacted us as they wanted a fun animation to explain to construction businesses and members of the public why plastic pipes are superior to old iron pipes and how fast and easy it is to install the new plastic pipes: they are used to replace or rehabilitate metallic pipes, they are fast and easy to install and they have a life expectancy of over 100 years. 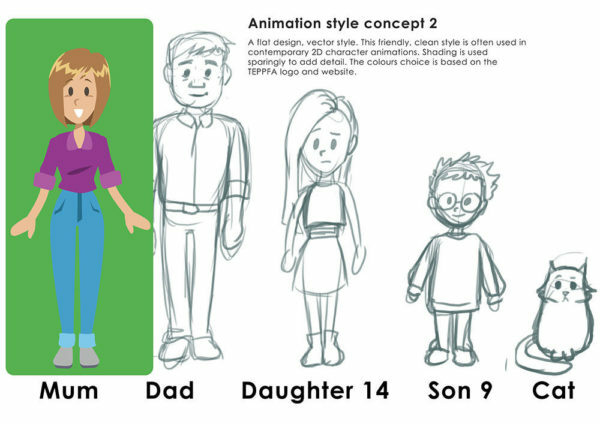 We tested a few concepts and decided with the Radius Systems team that the animation should tell the story of a family that experience problems with old irons but are resolved as new plastic pipes are installed. It was important that we made the animation fun and entertaining and different to the existing engineering CAD style animations about pipes and materials. 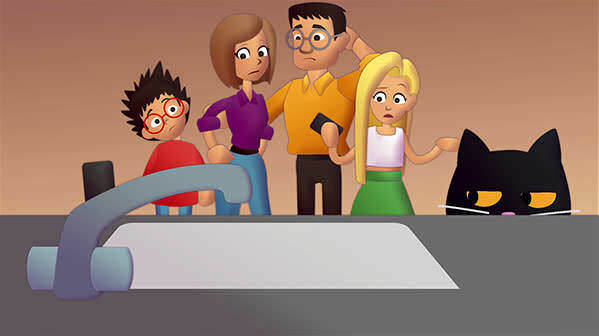 As TEPPFA is a European organisation, the animation needed to be understood in a multitude of languages. So we told the story of the pipes primarily through visuals and the character performances without a voice over. The animation was well received by both Radius Systems and the executives at TEPPFA. Radius Systems are a Derbyshire based pipe manufacturing company. They are part of TEPPFA which is a Trade association representing manufacturers and national associations of plastic pipe systems in Europe. Radius Systems contacted us as they wanted a fun animation to explain to construction businesses and members of the public why plastic pipes are superior to old iron pipes and how fast and easy it is to install the new plastic pipes: they are used to replace or rehabilitate metallic pipes, they are fast and easy to install and they have a life expectancy of over 100 years. 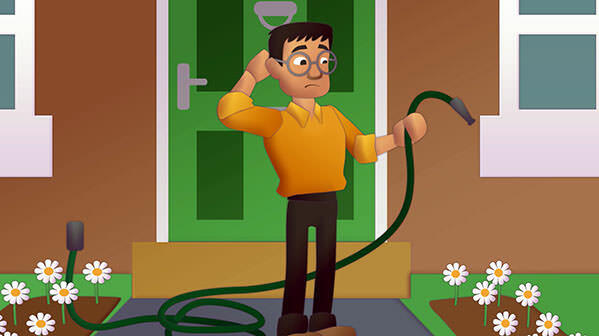 We tested a few concepts and decided with the Radius Systems team that the animation should tell the story of a family that experience problems with old irons but are resolved as new plastic pipes are installed. It was important that we made the animation fun and entertaining and different to the existing engineering CAD style animations about pipes and materials. 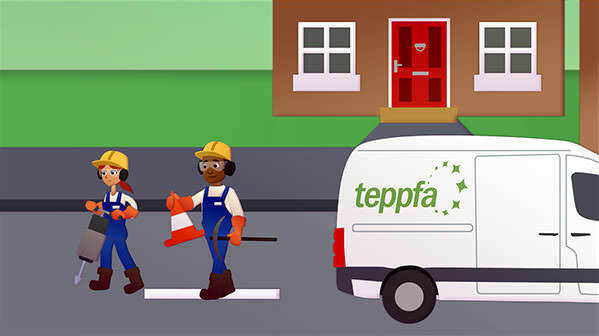 As TEPPFA is a European organisation, the animation needed to be understood in a multitude of languages. So we told the story of the pipes primarily through visuals and the character performances without a voice over. The animation was well received by both Radius Systems and the executives at TEPPFA. 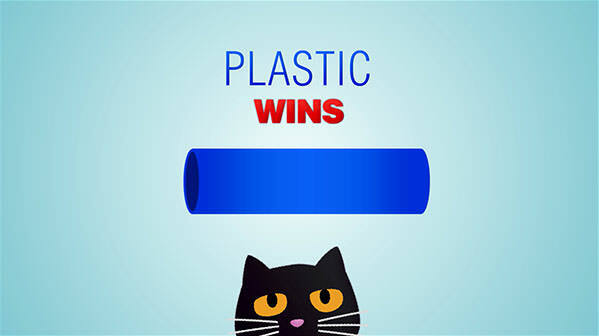 When the European Plastic Pipe and Fittings Association (TEPPFA, who we are a member of) turned to us to create an animation on the benefits and longevity of plastic pipe, we decided that we needed something different from the normal ‘techie’ animations. 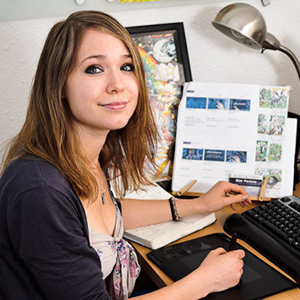 I turned to Dr Google and found Mair Perkins’ website, which straight away drew my attention and captivated my imagination. I knew that, after speaking and meeting with Mair, that we would get more than what we expected. A small business exuding tons of artistry, with a gifted team who have brought a mundane industrial concept to life. 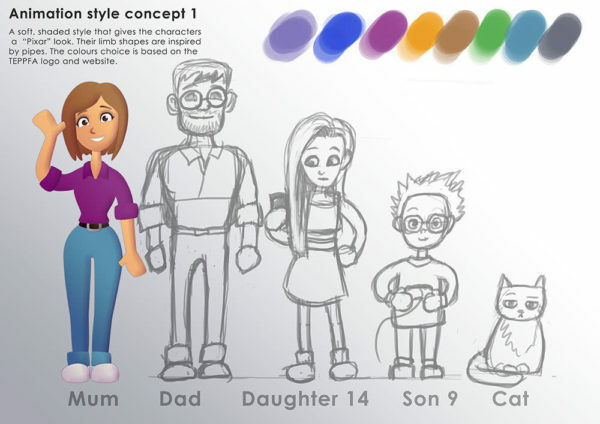 We designed two character variations for the client to choose from. Both designs are influenced by pipe shapes.